Do You Have a Concept for a New Agri-Tourism Business in the Central Okanagan? Do You Need Help Taking Your Existing Agri-Tourism Business to the Next Level? Region. The project is focused on providing assistance to the participants in developing a detailed business plan in preparation for the 2013 tourism season. 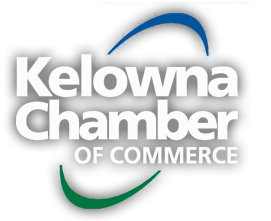 This pilot project is based on recent research that has identified best opportunities for agri-tourism development in the Central Okanagan as well as the skills and abilities associated with successful agri-tourism operators. This is a subsidized program that makes significant professional and technical expertise available: participants will undergo a customized business planning process which combines educational speakers, workshops and farm tours to address such areas as market research and planning, financial management, hiring and managing employees, and customer service. Participants will also receive one-on-one coaching and guidance in the preparation of their business plans. • Willing and able to commit up to 10 hours per week between November 1, 2012 and March, 2013 to attend education programs, conduct market research activities, and write their plans well as spend one-on-one meeting time with the business planning specialist. • A fee of $500 is required to cover basic costs associated with education programs, resource materials, workbooks, meeting space, etc. Interested Applicants: Provide a brief description of your agri-tourism concept and business background by Friday, November 9.